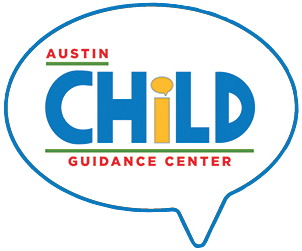 Welcome to Austin Child Guidance Center (ACGC); we are so glad you are here. Established in 1951, ACGC serves the Austin community and surrounding area by providing affordable, high-quality mental health services for children who are 17 years of age or younger. In addition, ACGC provides family therapy and parenting classes for parents or caregivers of children in services. Staff consists of professionals holding degrees in the fields of psychiatry, psychology, social work and counseling. The Center also serves as a training site for individuals completing advanced degrees in the field of mental health. ACGC is accredited by the Joint Commission. To request services at ACGC, please call ACGC at 512-451-2242. ACGC is open five days a week, and its hours of operation for appointments are 8:00 a.m. to 8:00 p.m. Monday through Thursday and 8:00 a.m. to 6:00 p.m. on Friday. During your call, the Intake Specialist will gather the necessary information to determine if ACGC services are appropriate for your family’s needs. Be advised that an initial phone intake typically lasts 10-20 minutes. If ACGC services are appropriate for your family’s needs, the Intake Specialist will schedule an intake appointment for you and your child. The Center also operates a Walk-In Clinic every Friday from 2-4 pm, with no appointment necessary. • ACGC does not provide emergency mental health services. In the event of a life threatening mental health emergency, dial 911. For a non-life-threatening emergency, contact your primary care physician, insurance provider, or please call ATCIC’s 24-hour crisis line at 512-472-HELP (4357). •	ACGC does not provide letters for schools regarding children’s safety or suitability to return to school. Evaluation and/or therapy will not be provided by ACGC if there is a reasonable expectation that an ACGC clinician will be required to participate in a court proceeding in connection with a subpoena or court order in a suit affecting the parent-child relationship. This means that ACGC will not produce clinical records; answer interrogatories; be deposed; or testify in a court proceeding that requires the disclosure of confidential client information (collectively referred to as “court proceedings”). These services are provided by other professionals in the community and a referral list is available upon request.